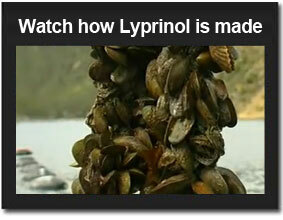 Lyprinol® is a patented highly-purified oil extracted from the New Zealand green lipped mussel (Perna canaliculus), which has proven to be an effective natural anti- inflammatory. Research on Lyprinol® began in 1973. Today it is used for a wide range of applications to help normalize inflammation. Since 2003, Lyprinol USA has been the exclusive North American distributor of Lyprinol®. Lyprinol® helps the body to keep chemicals such as leukotrienes, which may cause too much inflammation, under control through a revolutionary mechanism. Lyprinol® has a unique combination of omega-3 fatty acids, which have been shown to promote heart health and improve overall well-being. According to several scientific studies, Lyprinol® has been shown to be an excellent alternative to synthetic anti-inflammatories. 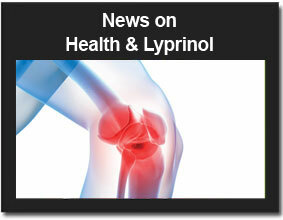 Proven anti-inflammatory actions that Lyprinol® may help normalize. Lyprinol® is all natural, and safe. The lack of side effects in Lyprinol® is a striking contrast to the frequent, and potentially serious side effects seen with Non-steroidal Anti-inflammatory Drugs (NSAIDs). Several studies including the OTC Study lead by Dr. M.W. Whitehouse, the Hertz Study conducted by Neils Hertz, M.D., and the Allergy and Immunology Study, provide evidence that Lyprinol® does not cause any of the gastrointestinal side effects found in other anti-inflammatories and uses an entirely different all-natural mechanism to be an effective anti-inflammatory.